February 2 was the last chance for athletes to try to qualify for the Indoor Track & Field State Championships on February 16 when Sacred Heart will be competing as the defending Division II State Champions. Coach Greg Caro entered the athletes in the events he felt would best serve the team to make sure all the pieces of the puzzle are in the right place for the championship meet. 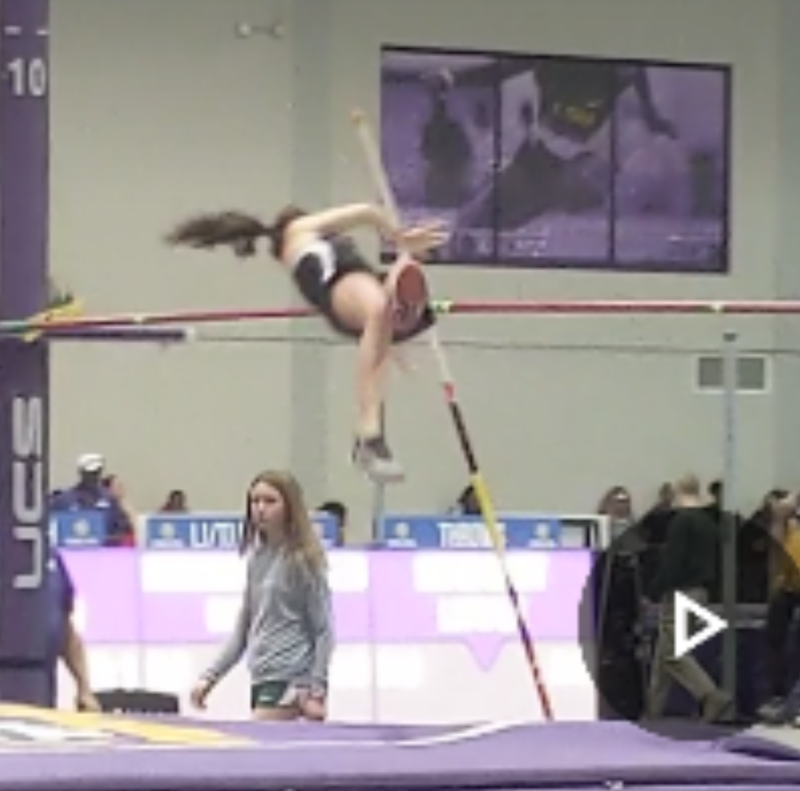 The meet started with the pole vault in which Eugenie Philipson '19 took to the sky via her fiberglass pole, clearing 7'00" and barely missing her attempt at the 8'00" mark. Her clearance secured her spot at the state meet. The 4 x 200 meter relay team consisted of Monet Ménard '20, McCall Schlosser '22, Renée Christina '21, and Cosette Waguespack '19. They overcame a trip and fall at one of the exchanges to still finish in a very respectable time of 2:01.96. In the long jump, Olivia Gaines '20, jumping in her first-ever competition other than distance races, leaped to a mark of 13'7.5" and proved that you can be more than you think sometimes if given the chance to try something different. Gaines came back later in the meet and ran the 800 meters in 2:39.38. Olivia McGoey '21 (5:40.24) and Olivia Boyd '22 (5:45.96) competed together in the 1600 meter run, and both improved their indoor times over the course of the season. McGoey and Boyd both ran state qualifying times. 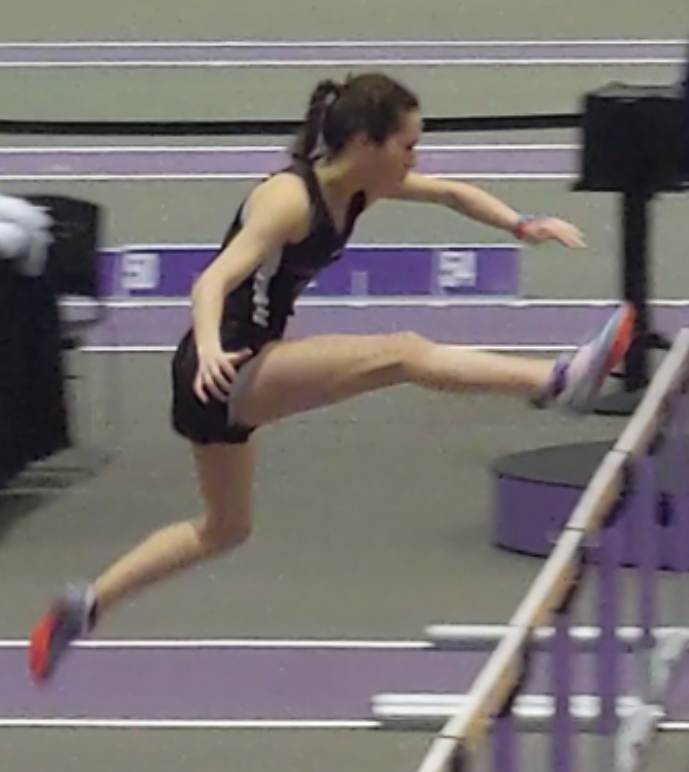 Emily LeBlanc '21 sprinted and jumped her way down the 60 meter hurdles in a time of 11.08 seconds, which qualified her for the state meet. 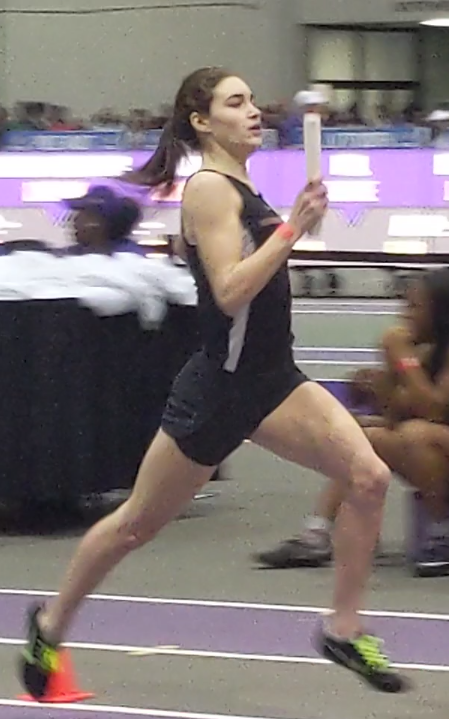 After taking a spill in the earlier relay, McCall Schlosser '22 showed her toughness once again and bolted down the 60 meter dash in 8.89 seconds. 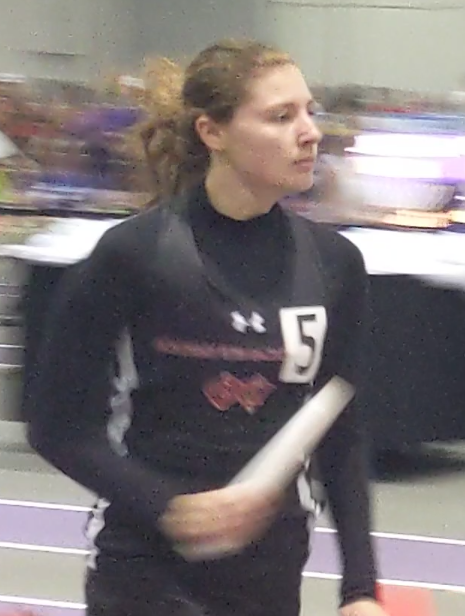 She came back later to run the 400 meters in a personal best of 1:07.70. Her teammate Cosette Waguespack '19 held her composure over the duration of the two laps and finished in a potential state time of 1:04.73. In the shot put ring, Mykhala Coleman '21 heaved the 8 lb., 14 oz. shot put 35'3.5" to secure her spot currently as the third best in Sacred Heart's division for state. Making her indoor debut in the triple jump, Monet Ménard '20, hopped, skipped, and jumped to a distance of 29'2.5" and punched her ticket to the state meet. 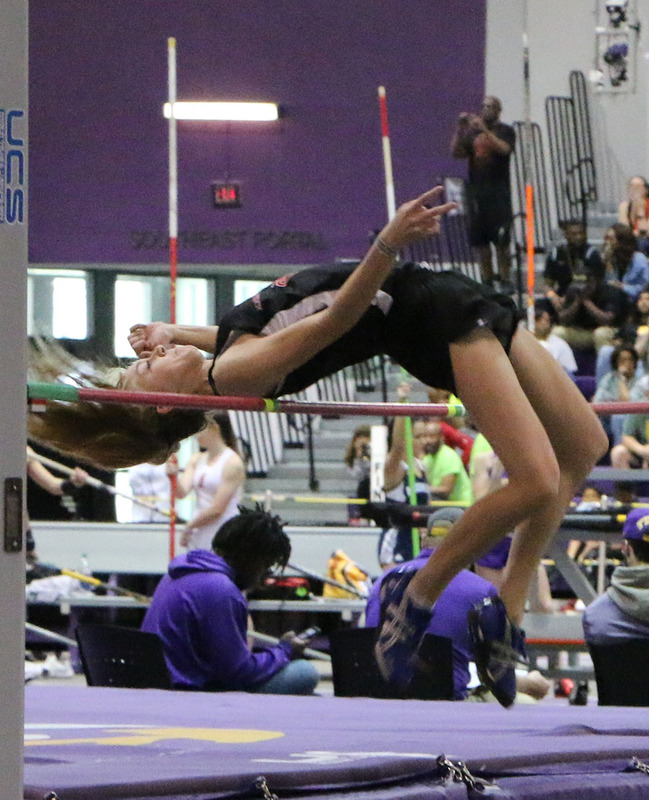 During the high jump, Olivia Boyd '22 cleared 4'10" while also having to leave during the competition to run the anchor leg on the 4 x 800 meter relay team. 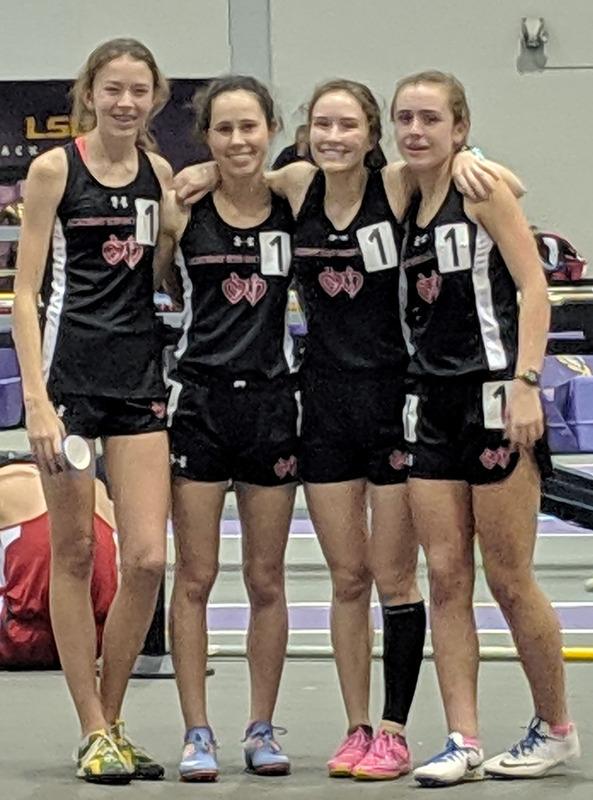 The performance of Emily LeBlanc '21 (2:36), Madeline Kling '19 (2:44), Olivia McGoey '21 (2:32), and Boyd's final leg of 2:31 gave the team a time of 10:25 for a second place overall finish in a thrilling come-from-behind team effort. They went from tenth to second over the duration of the race and secured the runner-up spot at the finish line by catching the other team with only .14 seconds separating them, which was a team from the larger 5A division. A little more than an hour later, Olivia Boyd '22 was back at it again for her fourth event of the day, a testament to her physical and mental toughness. This time it was the 3200 meter run, and she placed herself in this race to see how much she could handle. Her heat had 18 runners in it, and she pushed herself throughout the 16 laps. During the race, you could see the toll the other events had taken on her towards the end, but she still ran a very nice time of 13:11.88, which qualified her for yet another event at the upcoming state meet. All in all, it was a very productive meet and will definitely help the team in deciding which athletes in which events will best serve the team's overall goal: to compete with one another against all the other teams chasing the dream that they accomplished just last year...a state indoor team title!